Trekking permits or national park fees? All fees are listed by Park Name - Common Activity - Fee for Nepali, SAARC, Foreigner - total fee for foreigner including VAT. All fees are listed in Nepali Rupees. Where to buy National Park Permits? Jungle fees are paid at the park entrance. Children under 10 are free for most parks (passport ID needed). Most entry fees are "per entry' meaning you can't use them to enter the area more than once. e.g. Chitwan National Park fee is per day as you can't spend the night inside the jungle. * In 2017 the Solukhumbu region (Everest) added a regional tax on "Foigners" that amounts to 2,000 rupees and that the TIMS was no longer needed in their region.This issue has gone back and forward for several months. As of April 2018 TIMS cards are not being issued for this region and the Solukhumbu fee is being collected in Lukla. More updates on this new Everest fee can be found here. 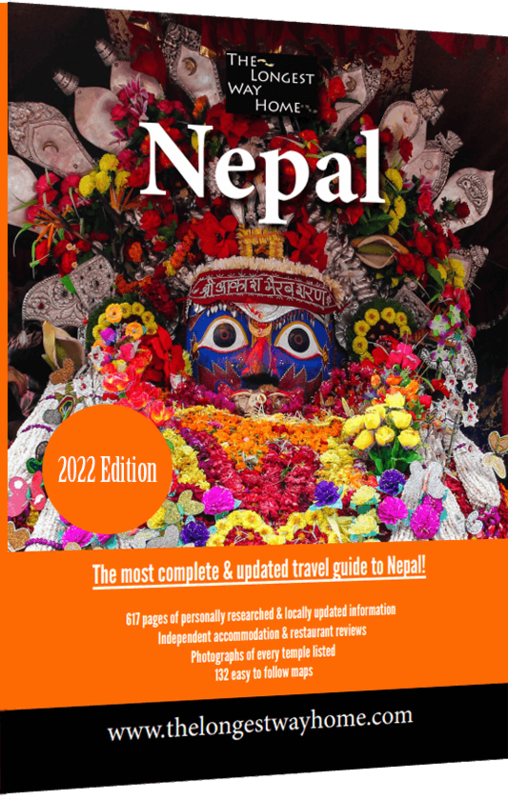 In October 2018 Nepal announced a string of increases to popular tourist locations all of which have been updated above. It's likely there will be more increases to remoter areas in the coming year. Once confirmed, they'll be updated here. Most trekking park areas are per entry so in reality it's a "one off" fee. Upper Mustang requires a Annapurna Conservation Area Project plus a Restricted Area Permit (RAP) of USD$500 for 10 days + $50 per day thereafter. National Park fees are basically the same thing as Conservation Area fees - you only need one unless crossing over to another National park when doing the same trek (this is rare but Manaslu is one). National park entry fees are also needed for jungle areas like Chitwan and Bardia. Nepal no longer has "trekking permits" - at least officially. Yet, you'll still hear people and trekking guides saying you'll need to get them! What people, generally, mean by trekking permits these days are a collection of National Park entry fees and a trekking registration fee. Then, depending on the trek, you may also need a permit (usually needed for restricted areas). To make matters slightly more bureaucratic some national parks are called conservation areas. Firstly, it's easier to deal with the trek you are going on rather than think about the type of "permit" or entry fee you need. Secondly if you are going with a guide, they'll arrange all this for you. How long does a National Park Permit take to get? Usually it takes 30 minutes but expect up to an hour. The second required "permit" you need when trekking is called a Trekkers Information Management System Card or TIMS. This card is meant to help keep you safe or at least help in locating you in the even of an emergency. Basically you show your TIMS card at various checkpoint along your trek and your details are taken down. So in the event of an emergency your approximate location will be known. The service is run by TAAN (Trekking Agencies' Association of Nepal) who are meant to be an independent umbrella organization of all trekking agencies. TAAN themselves have come under a lot of criticism over the years. Nevertheless there is an agreement between TAAN and Nepal Tourism Board that makes TIMS cards mandatory for all trekkers. There are two types of TIMS cards. 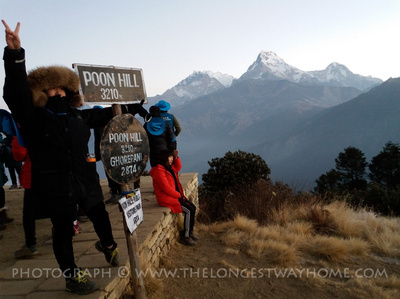 One for trekkers with a group (guide) and one for solo or independent trekkers going alone. TIMS cards are available in Kathmandu (Nepal Tourism Office) and in Pokhara. Opening hours: Sunday-Friday 9am - 5pm (Winter 9am-4pm) - Closed Saturdays & Public Holidays (in recent years the Kathmandu office has opened on Saturday mornings but it's not guarantee). How long does a TIMS Card take to get? While National Park fees and TIMS cards are mandatory there are some other things that should be too. If you are going trekking in Nepal then make sure you have travel insurance that covers you. Here's my recommendation for travel insurance that covers you for trekking in Nepal! Without question you can use this website to plan out your trip to Nepal for free. The above map is just one of over 100 from my Nepal guidebook. There's is however a big difference in using a website and having a dedicated guidebook. When I first came to Nepal 10+ years ago I was very disappointed with the big brand guidebooks on offer. So, I set about writing my own. It's is far better! Check out the details below and you'll see why, I promise.